Young, Light, Sour and Dusty. 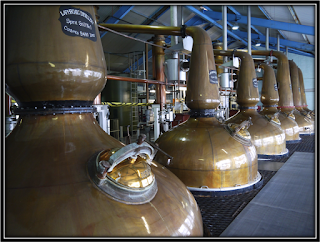 Some of the famous Laphroaig Aromas are there but in a Watered-Down form. Re-Fill Wood and New Oak are noticeable and so is the Alcohol. The Nose is not really bad but it kinda smells like work in progress. Toasted Cereals, Slightly Burnt Toast, Dirty Peat, Cold Smoke, Caramel, Lemon Ice Tea, Grass, Green Apple, Unripe Banana, Wood Pellets, Smoked Fish, Floral Soap, Salt and Espresso. Vanilla, Iodine, Soot, Ashes, Tar, Plastic, Rubber, Gas Station, Cheese, Mineral notes, Bounty Candy Bars and a hint of Sweaty Feet. Young and Thin. A mix of Sugary Sweet and Sour notes. Lots of Alcohol. Again this feeling of Unfinished Business. Peated Grist, Dirty Peat, Cold Smoke, Salted Caramel, Floral Perfume, Smoked Fish and Shellfish, Green Apple, Pear, Green Banana, Lemon, Licorice, Pepper & Nutmeg. Toasted Nuts, Vanilla, Soot, Ashes, Tar, Plastic, Rubber, Iron and Espresso. Middle-Long and very Thin. A mixture of Sugary Sweet and Sour with a bit of Bitterness that develops with time. Medium Dry. I find Peated Grist, Salted Caramel, Dirty Peat, Cold Smoke, Soot, Ashes, Brine, Iodine, Floral Soap, Lemon, Grapefruit, Smoked Fish & Shellfish, Vanilla, Espresso, Licorice, Pepper, Nutmeg and Casted Iron. Clearly a very young Islay Malt. The Alcohol is still noticeable. Added Water completely kills this Four Oak. It's already Thin enough as it is. Laphroaig is located a few miles outside Port Ellen on the island of Islay and was founded in 1815 by Alexander and Donald Johnston. It was bought by Beam Suntory in 2014. Since, the distillery has launched a number of NAS Whiskies that received mixed critics. I find this a pity as I used to consider Laphroaig one of my favourite distilleries. The 10, the discontinued 18 and the old 15 Years are some of my all time favourites. I also love to visit the place and the people. I really hope Laphroaig is not steering too much towards mainstream Whisky but at the moment it kinda looks that way. The Four Oak was launched in 2017, initially for Travel Retail only. It is a vatting of young Laphroaig Spirit that matured in Ex-Bourbon barrels, Quarter Casks, Virgin American Oak barrels and European Oak hogsheads. Whisky derives from the old Scottish Gaelic word Uisge-Beatha, Water of Life. 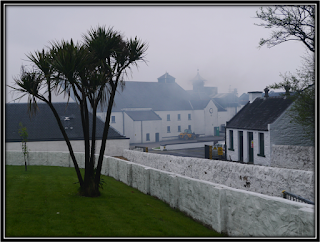 It seems to me that Laphroaig takes this a bit too literally with this Four Oak. You use Water for making Whisky but it should not taste as such! 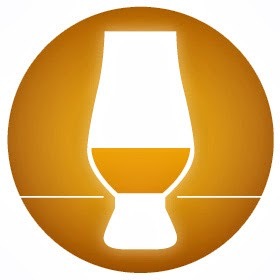 Laphroaig used to be a Single Malt that you either liked or hated. With Single Malts like the Four Oak that's not the case anymore. 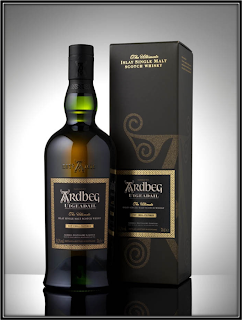 This is overpriced young Islay malt that should probably convince newbies that Peated Whisky is not something you should be afraid of. I know there's a shortage of aged Spirit and I know there's a shortage of good and affordable casks. 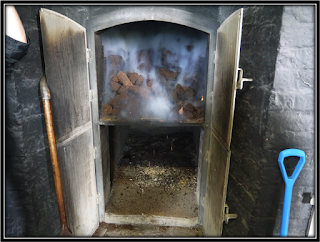 But I also know that you can't (yet) replace sufficient maturation by New Wood and Smaller Casks. The Four Oak is a good example of that. It smells and tastes like a rush job. I don't think that Laphroaig is doing itself and the market a favour by releasing Single Malts like this. This is not the way to go. Laphroaig should not be a whisky that's kinda Peaty, kinda Light, kinda Watery and kinda okay.